90 keto diet recipes for breakfast, lunch and dinner! Looking for a keto diet menu plan with tips for beginners? 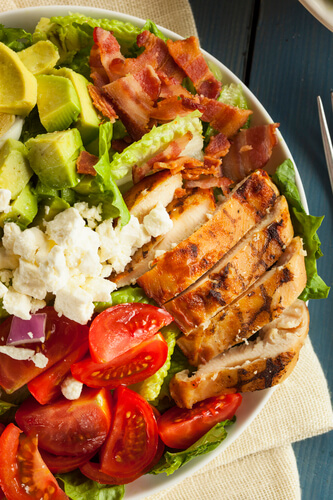 This free 30 day low carb meal plan is all you need to start losing weight on the keto diet! If you’re starting the ketogenic diet, it can be easy to get overwhelmed! If you’re a beginner, this guide will help you understand the basics of the ketogenic diet and help you kick-start your weight loss plan with 30 days of fabulous and delicious keto diet recipes for breakfast, lunch, dinner, and snacks in case you’re into that sort of thing! Now, I understand it’s difficult when you’re a beginner at anything, especially weight loss! Six years ago when I started the keto diet, Pinterest wasn’t a thing and information wasn’t as readily available as it is today. Still, it can be difficult to know who you can trust; if you’re even dealing with a real person on the other side of the screen! Well, I can guarantee you that I’m 100% real (Check out my low quality before & after pictures here!) and I did lose weight on the keto diet. Over 90 pounds! I want you to know the keto diet is legit! It’s not an overnight thing, but it works! Stick to the plan, and you will lose weight! Before I go on, I have to tell you this post may contain affiliate links-at no charge to you. For more info, please visit my disclosure page which I have tried to make as entertaining as possible. Despite what the media may say, the Keto diet is not a trend! The ketogenic diet (keto for short) was developed in 1921 by Dr. Russell Wilder at the Mayo Clinic for patients with epilepsy. 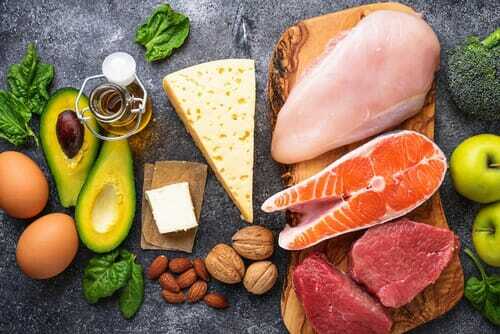 I won’t bore you with all of the medical jargon, but along with the benefits for epileptic symptoms, doctors also noticed patients on the keto diet experienced decreased irritability and increased focus. You can read more about the keto diet rules & foods right here! Weight loss varies from one person to another because everyone’s body is different! If you have a lot of weight to lose (like I did), you may notice more weight loss at the beginning of your diet. The average weight loss on the keto diet after the first week is usually around 10 pounds. Now please don’t get too excited. This initial weight loss is water weight. You see, the keto diet causes you to drop the water weight fast because you’re cutting your carbs dramatically. And while you may not be losing fat, this water weight loss is a good sign that your body has entered the ultimate fat burning mode: ketosis! On the keto diet, you reduce your carbohydrate intake to 20-50 grams per day. It’s all part of the plan to get your body into the state of ketosis or fat burning mode. When your body doesn’t have the carbs to burn for energy, it turns to fat. When your body is in ketosis, it converts fat into ketones which become your body’s new fuel source. To stay in ketosis or fat burning mode, you have to eat foods that are keto friendly. Going keto isn’t all that tough after you get used to it, but it can be a challenge at first. 2. But if you’re already too busy for words and you struggle with meal planning and you are overwhelmed with information, Tastaholics will do all the work for you and deliver fabulous weekly keto meal plans to your inbox along with a shopping list for the week’s food! Doesn’t get any easier than that! The keto diet offers tons of benefits in addition to weight loss like better focus, stronger physical endurance, and lower cholesterol levels. Even with all of these health benefits before you begin any diet plan, you should speak to your doctor. The keto diet works for me, but it’s not for everyone. There is no ONE diet that works for everyone, because we are all different! For this reason, I don’t write exclusively about the keto diet! But today, we talking ketogenic, and I have collected over 90 low-carb recipes to share that are perfect if you think keto is right for you! Light, fluffy, grain-free waffles that use no complicated protein powders! Make in batches ahead of time & freeze for your convenience! Get the recipe from Ditch the Carbs! Easy Low-Carb Keto Breakfast Casserole with Sausage [Food Faith Fitness] An amazing combination of sausage, eggs, red peppers, and pine nuts makes this is the perfect make-ahead healthy breakfast! Keto Taco Breakfast Skillet [Peace, Love and Low Carb] Quick and easy low-carb meal prep for busy mornings! Super Easy Egg Keto Breakfast Muffins [Word to Your Mother Blog] Perfect for busy mornings & meal prep! Delicious low carb egg, bacon, and spinach muffins with bell pepper and onions! Keto-Gluten Free English Muffins In A Minute [Low Carb Yum] If you miss bread you’ll love these english muffins that can be whipped up in a few minutes! Eat them alone or with a couple of eggs and a slice of bacon! Yum! Avocado and Salmon Low Carb Breakfast [The Nourished Caveman] Surprisingly simple to prepare, this Avocado and Salmon keto diet recipe offers a healthy amount of saturated fats. Treat yourself to this delicious breakfast! Oven Baked Eggs Recipe [Savor+Savvy] Oven Baked Eggs are an example of easy meal prep at it’s finest! All you need are a dozen eggs and a muffin pan. Oh, and fifteen minutes! Healthy and delicious! With sausage as the “bun” you don’t miss the bread at all! Find out more on Hey Keto Mama! Ultimate Breakfast Roll Ups [Ruled.Me] The ultimate keto diet fast food recipe! Made with eggs stuffed with bacon, sausage, and cheddar cheese! Low Carb Keto Breakfast Burrito Bowl Recipe [Ketogasm] If you’re a fan of burritos (and who isn’t?) you’ll love this burrito bowl for breakfast keto diet recipe that combines taco meat, cilantro cauliflower rice, and scrambled eggs. Sound amazing? It is. Mexican Breakfast Casserole [Keto Diet App] One of my favorite keto diet recipes! The Mexican Breakfast Casserole only takes 20 minutes (hands-on) time to prepare and it’s fabulous for weekends or large family gatherings! If you’re not a fan of specialty food products you’ll love this recipe as it doesn’t call for anything out of the ordinary! If you’re looking for a fast keto breakfast recipe that’s grain-free and delicious give this warm breakfast cereal a try! You can prepare in minutes making it perfect for busy mornings when you’re in a rush! Find out how on Low Carb Maven! 1 Minute Keto Muffins [Ditch the Carbs] This super easy keto diet recipe requires only four ingredients and ONE minute! As an added bonus, you can switch up the flavor easily by adding your choice of sweetener, nut butter, cinnamon, cheese, or spinach and feta! Need More? Here’s 30 Low Carb Breakfast Recipes using 5 ingredients & 5 net carbs or less! Packed with protein, this lunch option is filling, satisfying, and incredibly healthy! It’s also easy with a 10 minute prep time! Made with tuna, tomatoes, balsamic vinegar, mozzarella, and green onions this clean eating keto recipe will keep you full for hours! Want to make it? Visit My Cooking Spot! A healthy, clean eating keto lunch; full of mediterranean flavor! Chicken, olives, tomatoes, cucumbers, and avocado with an olive oil based marinade/dressing that is to die for! Get all of the details over on Cafe Delites. Low Carb Spinach Cobb Salad Recipe | That’s Low Carb?! Spicy Shrimp & Avocado Salad with Tahini Dressing | Oh Snap! Let’s Eat! BLT Chicken Stuffed Avocados [The Garlic Diaries] Packed with flavor combining ingredients like turkey bacon, rotisserie chicken, Roma tomatoes, cottage cheese, romaine lettuce and, obviously, avocados! If you haven’t tried this stuffed avocado recipe let me tell ya, you are missing out! Chipotle Pulled Pork Lettuce Wraps With Avocado Aioli [Fashionable Foods] Using leftover delicious slow cooker chipotle pulled pork (See Dinner Recipes) all this keto recipe requires is stuffing lettuce wraps and topping with avocado! The Aioli is super simple too! Cheddar-Wrapped Taco Rolls [Wicked Stuffed] Keto, grain-free taco rolls are a lot like burritos; without the carbs! The “crust” is made of cheddar cheese and the rest is the perfect combination of seasoned taco meat, tomatoes, and avocado. Vegetarian Keto Club Salad [Ruled.Me] Looking for vegan keto diet recipes for lunch? Give this one a try! With cheddar cheese, romaine lettuce, cherry tomatoes, diced cucumbers, hard boiled eggs and a savory seasoned dressing this vegetarian salad will keep you fueled and filled throughout the day! Avocado Egg Salad [Diethood] This avocado egg salad is mayo-free made with crunchy bacon, dill, green onions, lime juice, and yogurt! Vegan Crack Slaw [Meat Free Keto] For a vegetarian keto lunch try this vegan version of the famous crack slaw recipe made with green cabbage and macadamia nuts. Seasoned with chili paste, sesame oil, garlic, and green onions this recipe is just as addictive! Fresh Tuna Salad Recipe [Nancy Ferrer] Full of healthy fats this fresh tuna salad will definitely not disappoint! Made with tuna, Roma tomatoes, cucumbers, purple onions, a little mayo, and a pinch of sea salt this tuna salad is one of my favorite clean eating keto diet recipes! Spicy Thai Chicken Zoodle Soup [Fashionable Foods] Tasty and healthy way to get your vegetables! Plus, it only takes 30 minutes total to prepare! Fresh Sriracha Broccoli Salad [Wicked Stuffed] Fabulous way to stay full for lunch! This broccoli salad is as tasty as it looks with fresh broccoli, red peppers, cheddar cheese, sunflower seeds, and bacon. Click Here for 30 Low Carb Lunches using 5 ingredients with 5 net carbs or less! With only a 10 minute prep and twenty minute cooking time this ONE PAN Balsamic Chicken and Veggies recipe makes a perfect busy night clean eating keto meal! Get the recipe on Chelsea’s Messy Apron. Caprese Hasselback Chicken [Low Carb Maven] Make this fabulous hasselback chicken with mozzarella, Roma tomatoes, fresh basil, olive oil, and balsamic vinegar in under 30 minutes! One of our favorite keto diet recipes by far! Slow Cooker Chipotle Pulled Pork [Fashionable Foods] Full of flavor and super easy! Use the leftovers for a variety of keto diet recipes like the Chipotle Pulled Pork Lettuce Wraps! Sheet Pan Roasted Asparagus & Chicken With Chorizo [Eat Drink Paleo] This sheet pan meal comes together in under 30 minutes using chicken, asparagus, and delicious herbs and spices. Easy Cashew Chicken [Keto Connect] If you don’t have a lot of time, but you are starving for a home-cooked meal, try this Easy Cashew Chicken that comes together in 15 minutes! Click Here For 30 More Low Carb Dinner Recipes using 5 ingredients with 5 net carbs or less! String Cheese: Cheese has a healthy combination of protein and fat. For the Keto diet make sure it’s full-fat version without added carbs! Nuts: Almonds, walnuts, and macadamias are a heart-healthy low-carb fave! Be careful to eat in moderation! Parsnip Chips Trader Joe’s chips are a delicious on the go salty keto snack! DiMario Snack Sticks Absolutely the best when you’re on the go! Righteous Felon Beef Jerky If you want to up your beef jerky game this is how! Righteous Felon Beef Jerky Cartel specializes in beef jerky & has been featured in tons of foodie magazines! It’s SO good! Keto Bars Hands down the best! The only ketogenic bar that’s low carb & intentionally high in fats so you stay fueled & full. And they taste amazing! Ok. So you’ve got 30 days of recipes. Now you need a plan. Have you set your weight loss goals? No, I wanna be skinny doesn’t count! :) Read this & get started now! Check back & let me know how things are going! Navigating the grocery store for the first time on the keto diet can be a little confusing for beginners! This keto shopping list and free Keto Grocery List Printable PDF will guide you through every department, so you’ll know exactly what foods are keto-friendly and what you need to put in your shopping cart! Need a keto snack-ASAP? Don’t miss the keto snack section where I’ll share all the best ketogenic snacks you can buy right now on Amazon! You can do it! Following the simple rules of the ketogenic diet plan helped me lose over 90 pounds and keep it off. If I can do it you can too! SAVE OR SHARE THE 30 DAY MEAL PLAN! FOR MORE LOW CARB KETO RECIPES, FOLLOW MY BOARD ON PINTEREST!